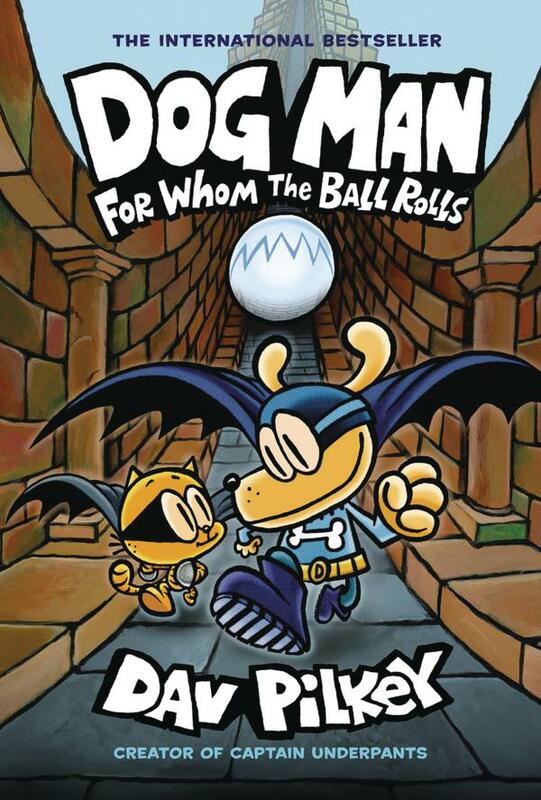 Howl with laughter with Dog Man, the #1 New York Times-bestselling series from Dav Pilkey, the creator of Captain Underpants! The Supa Buddies have been working hard to help Dog Man overcome his bad habits. But when his obsessions turn to fears, Dog Man finds himself the target of an all-new supervillain! Meanwhile, Petey the Cat has been released from jail and starts a new life with Li'l Petey. But when Petey's own father arrives, Petey must face his past to understand the difference between being good and doing good. Twins Stacy and Gina Cavallaro are on rival little league teams. Gina is a sports whiz and the star of her crack team, while Stacy's band of misfits hasn't won a game all season. The battling sisters also happen to be the youngest in a long line of local witches. So when Gina's magic spins out of control and her spell accidentally raises a zombie, the girls have to set aside their differences and figure out how to make everything going wrong, go right. And Stacy's team of misfits - Billy, Sanchez, Levi, Beans, Paddy, Killroy, Gomez, and Boots - gets coached by a baseball-playing zombie and must band together to save the day! Available in softcover and hardcover editions. 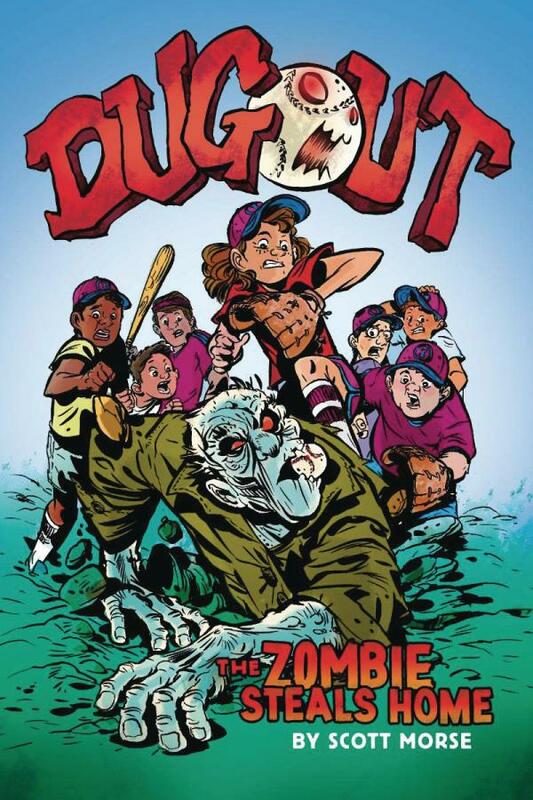 Twins Stacy and Gina Cavallaro are on rival little league teams, and when Gina accidentally unleashes a curse that wakes the dead, Stacy's misfit team gets coached by a baseball-playing zombie! Gina is a sports whiz and the star of her crack team, while Stacy's band of misfits hasn't won a game all season. 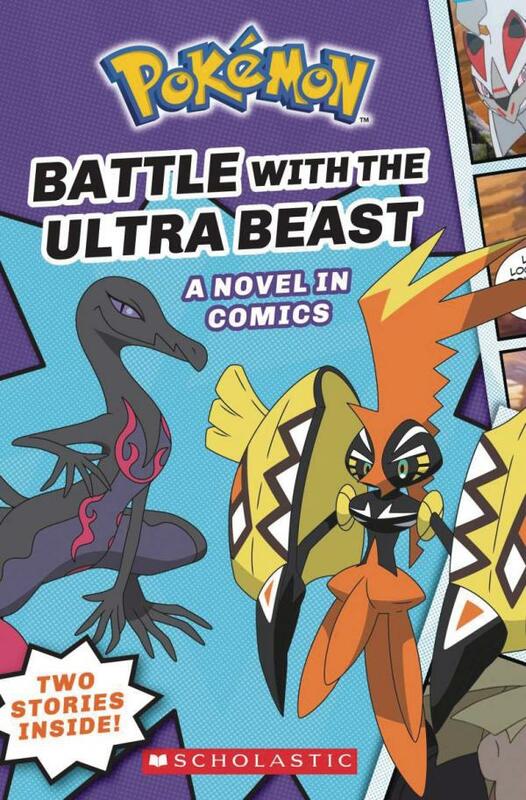 The battling sisters also happen to be the youngest in a long line of local witches. So when Gina's magic spins out of control and her spell accidentally raises a zombie, the girls have to set aside their differences and figure out how to make everything going wrong, go right. And Stacy's team of misfits-Billy, Sanchez, Levi, Beans, Paddy, Killroy, Gomez, and Boots-must band together to save the day! 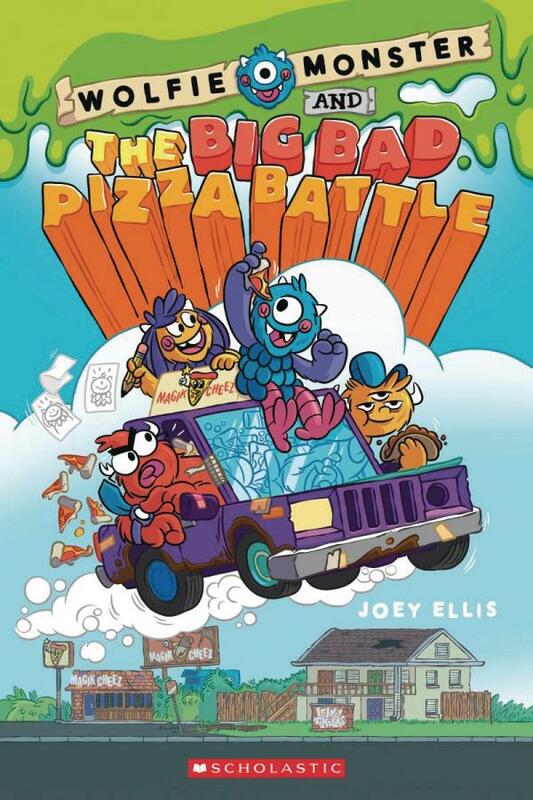 Three monster brothers get into trouble in a wacky adventure to save their failing pizza parlor! Monster brothers Wolfie, Jackson, and Roy are in for some serious competition when the gigantic corporation, Happy Leaf, moves into their hometown of Oak Hollow and wants to buy their pizza parlor. But not all is on the up-and-up when they discover the villainous CEO, Lord Mudpant, wants to turn the townspeople into zombies. Can the boys set aside their squabbles long enough to thwart Mudpant's nefarious plans? Available in softcover and hardcover editions. Three monster brothers get into trouble in a wacky adventure to save their failing pizza parlor! Monster brothers Wolfie, Jackson, and Roy are in for some serious competition when the gigantic corporation, Happy Leaf, moves into their hometown of Oak Hollow and wants to buy their pizza parlor. But not all is on the up-and-up when they discover the villainous CEO, Lord Mudpant, wants to turn the townspeople into zombies. Can the boys set aside their squabbles long enough to thwart Mudpant's nefarious plans? !